Yeah, that’s right. That sums it up. Pow! (This mug actually does say pow on the other side… don’t know where that photo went) This is a soda fired hand built mug, and I painted the buildings right on the side of the pot, freehand. “Pow!” applies to other things, too. I am getting things done, slowly, but surely. I have a huge list of to-dos, but I’ve got two done so far, and the night’s not over yet. I worked outside on pots for a while, and had a great sculpture idea. “A bird in the hand” will be the title, referring to the old saying of “A bird in the hand is two in the bush”. I was just trying to think of a cool figural sculpture I could do that wasn’t huge and didn’t have to involve the whole body. I made a small torso, just for practice, then tried a larger one and squished it and laid the slab of clay over my foot instead. I started forming the toes and it really did look like a foot until I tried messing with it too much. then I made a new slab and cut out a hand shape. That’s when I got the genius idea. It didn’t work the first time, so I restarted and now I am making the hand, one joint at a time. I made the wrist, palm, and part of the thumb. It needed to set up before I could work with it anymore. 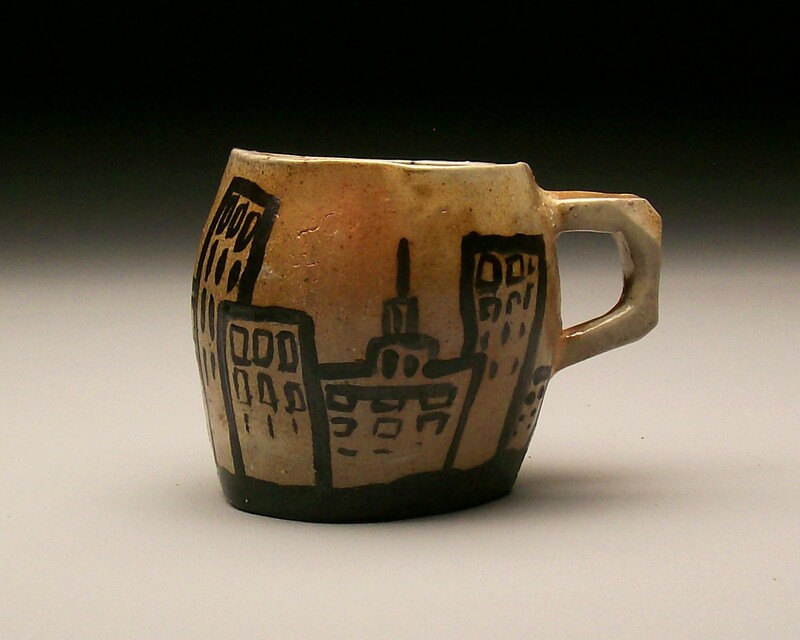 This entry was posted in Art, Ceramics, Drawing, Painting, Photography, Sculpture and tagged ceramics, city scape, clay, comics, figural sculpture, figure, functional pots, herbarium, mug, painting, pottery, pow, salt firing, sculpture, soda firing, to do lists. Bookmark the permalink.